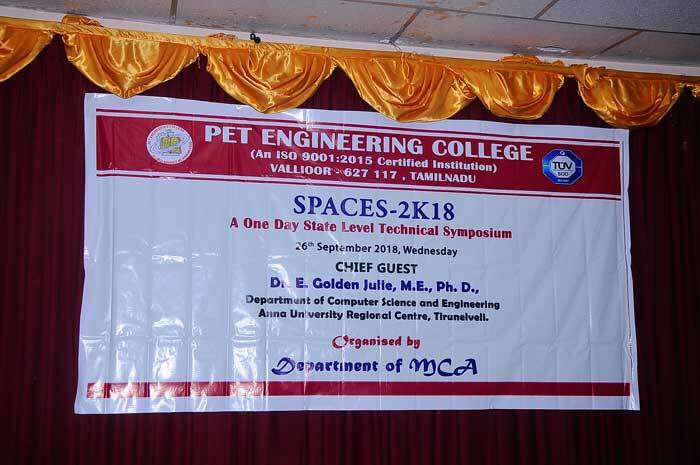 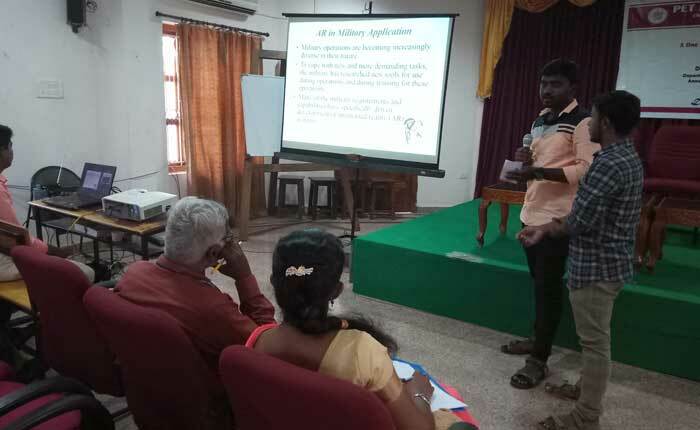 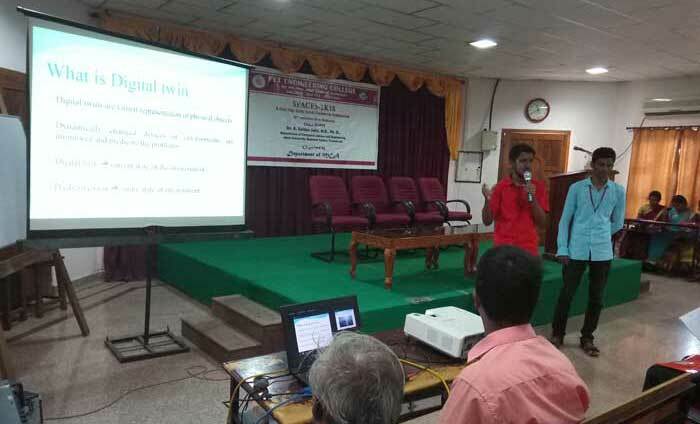 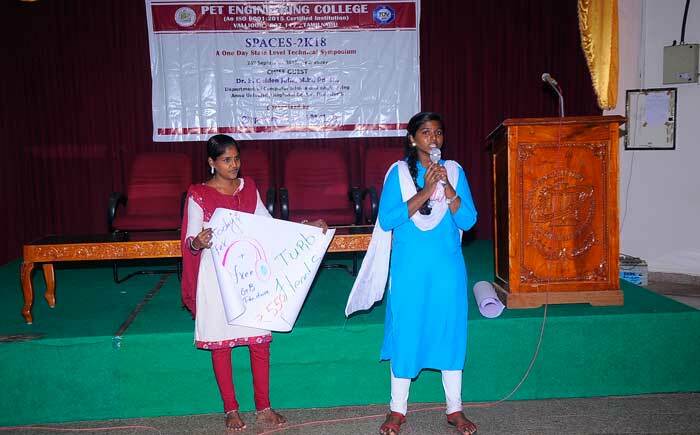 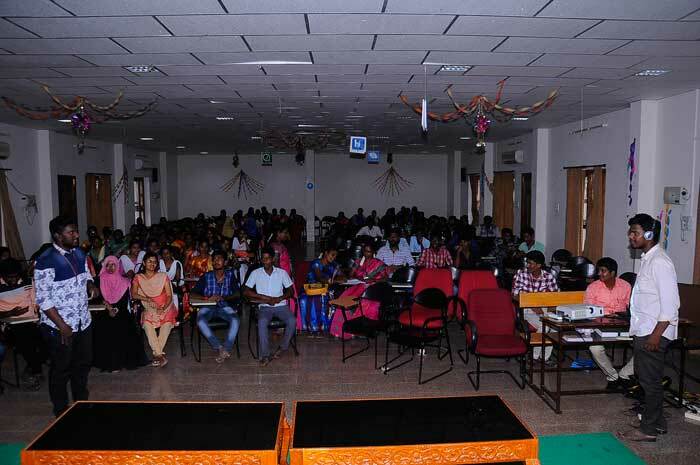 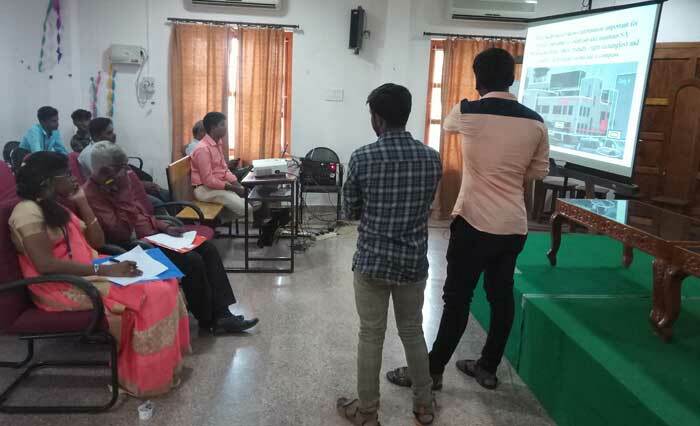 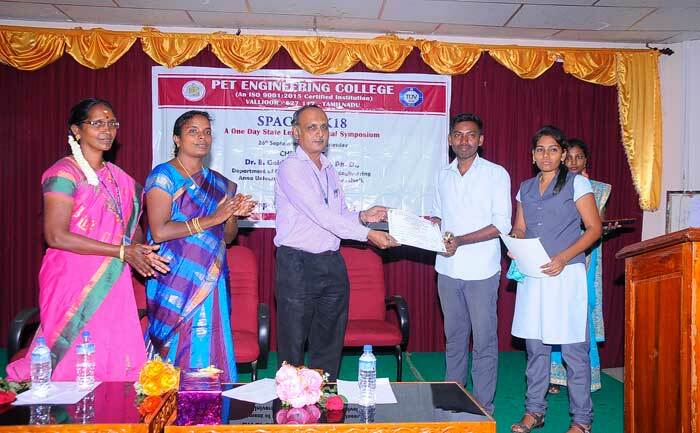 A one day Technical Symposium was held on 26th September 2018 at PET Engineering College, Vallioor on behalf of MCA Association. 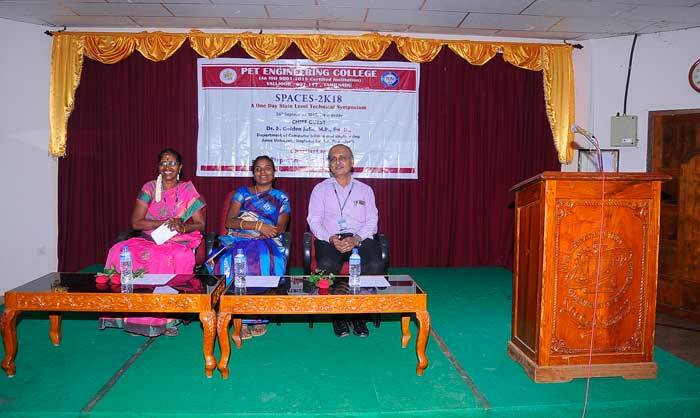 Dr. A. Kalaiselvi, HOD of MCA Department welcomed the gathering. 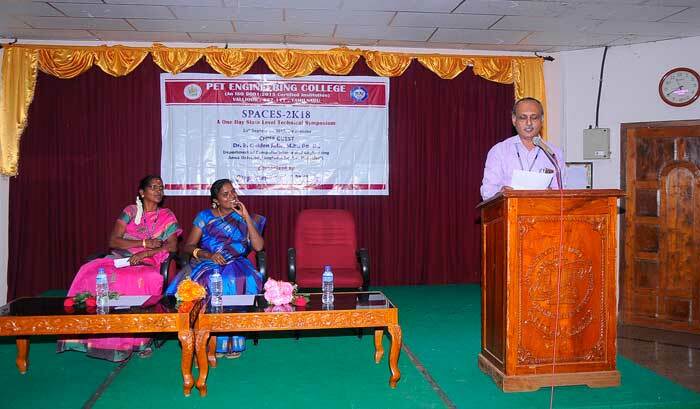 Dr. N. Mohammed Sheriff, the Principal of the College delivered the presidential address. 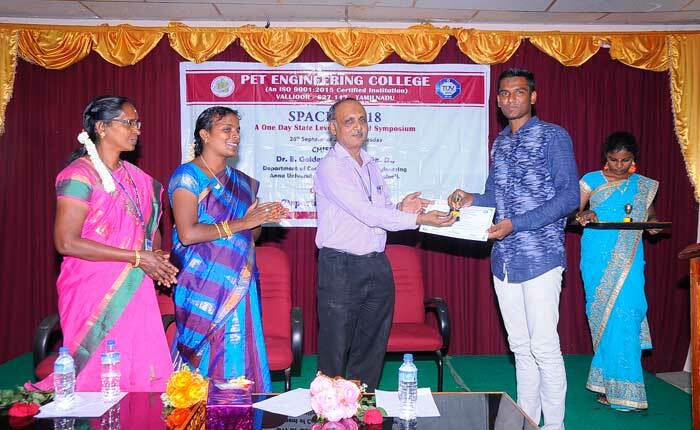 He made the students aware of the fact that such events are organized to bring to light the individual talents of the students. 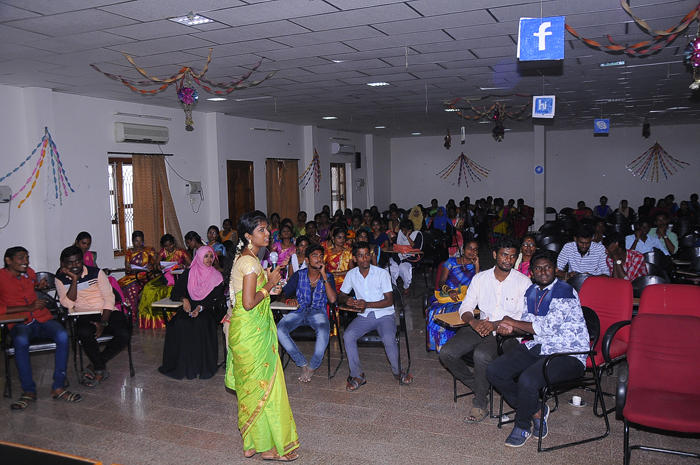 He said that such symposia would to develop one�s interpersonal skills. 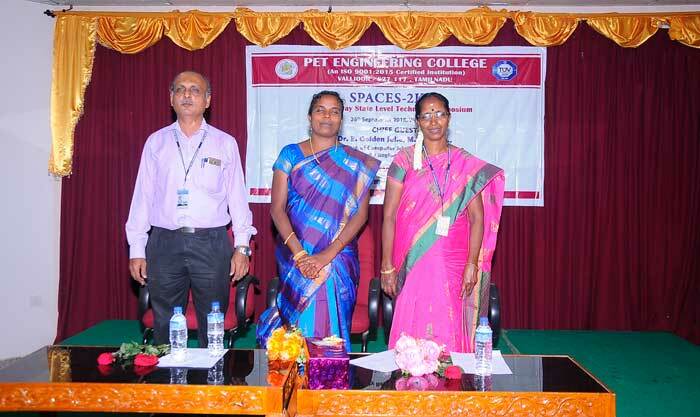 G.Agnes, a second year MCA student introduced the chief guest to the audience. 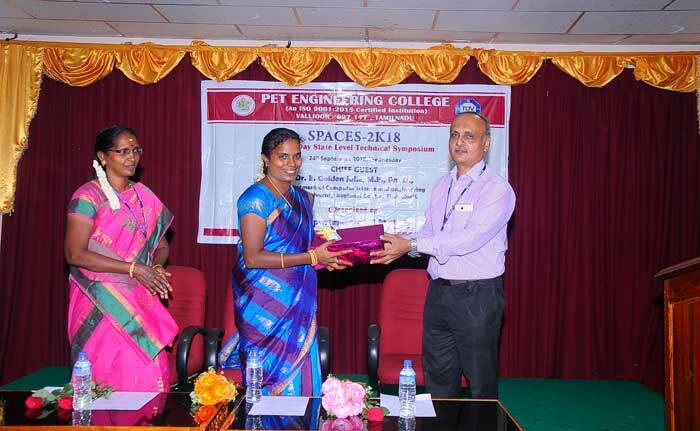 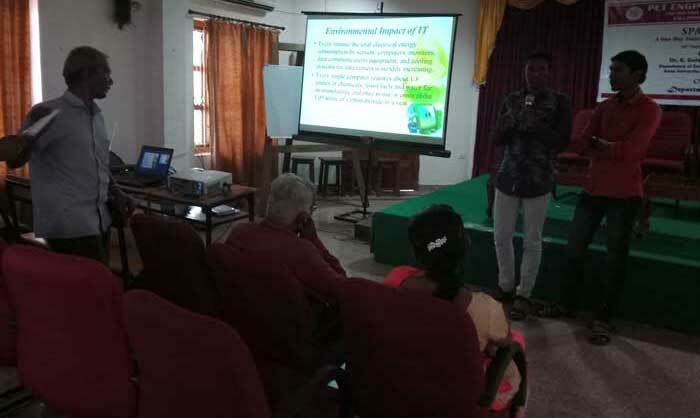 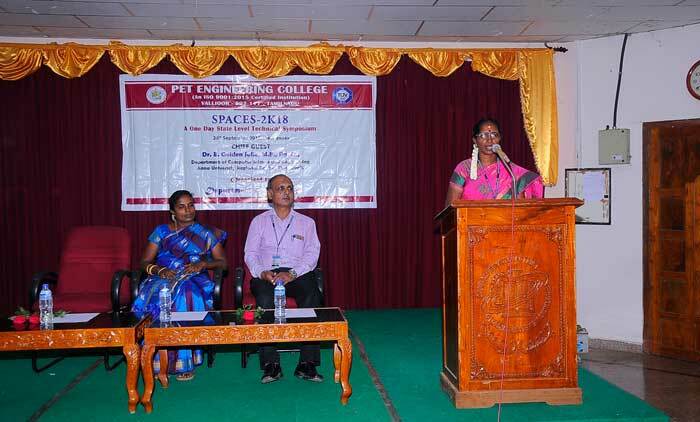 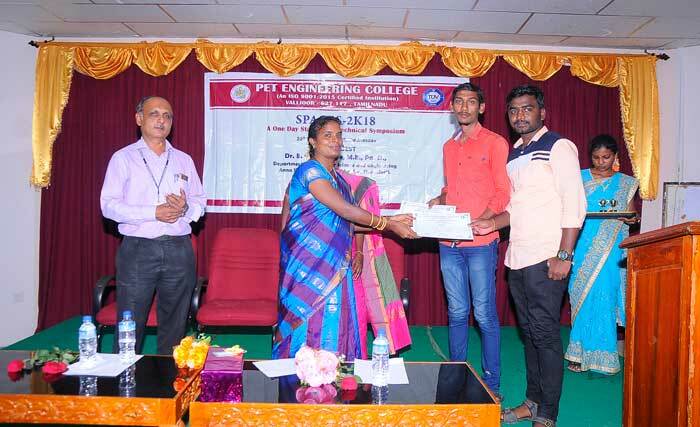 Mrs. E. Golden Julie, Computer Science Department, Anna University, Regional campus, Tirunelveli was the chief guest for the programme. 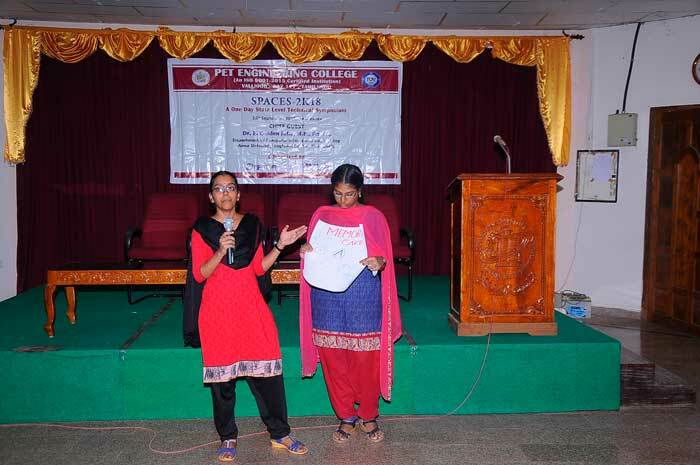 In her address she said that logical thinking is essential to attain success. 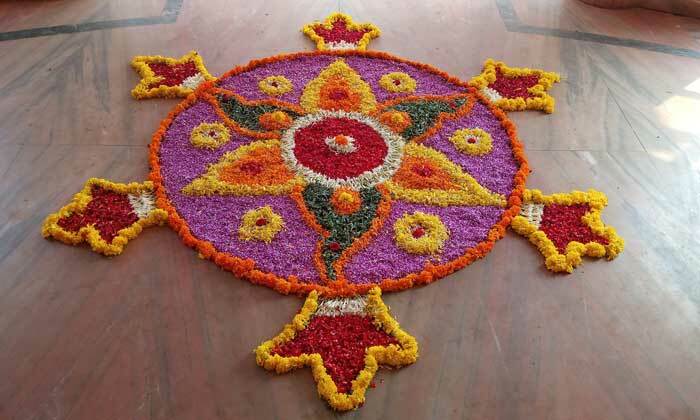 Further, one should face challenges in life with hope, shedding of all fears. 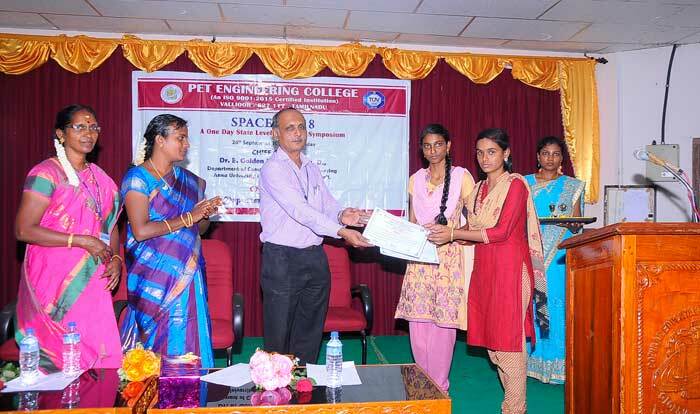 It is also essential to nurture positive thoughts and reap laurels in life. 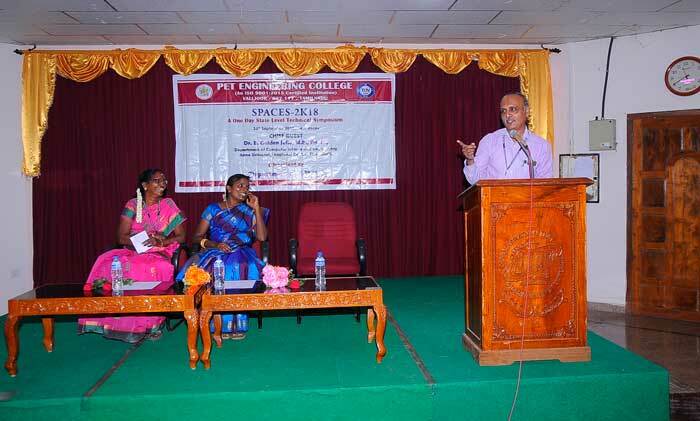 Students from different Arts and Science Colleges attended the function. 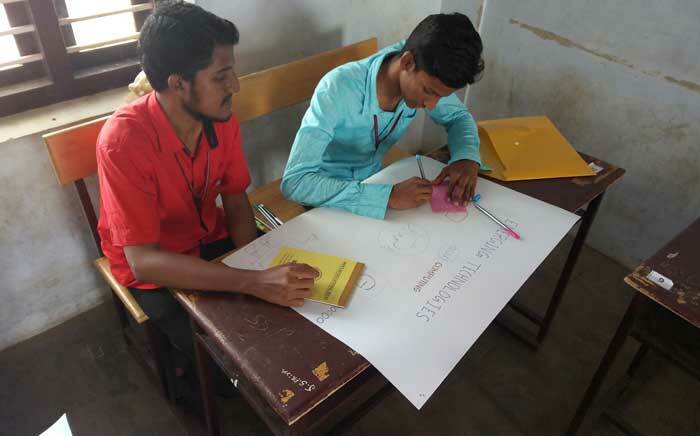 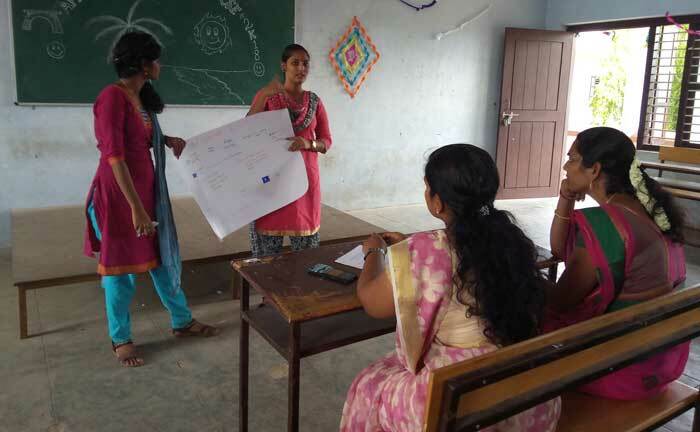 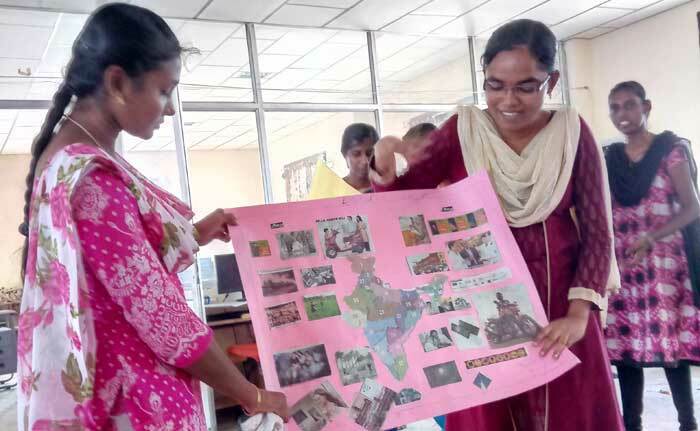 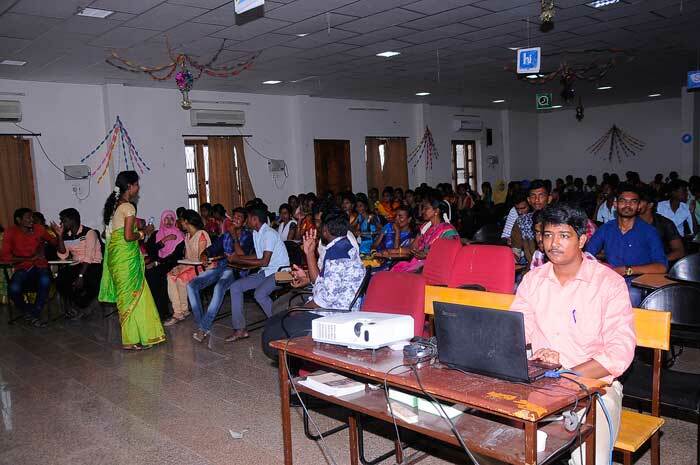 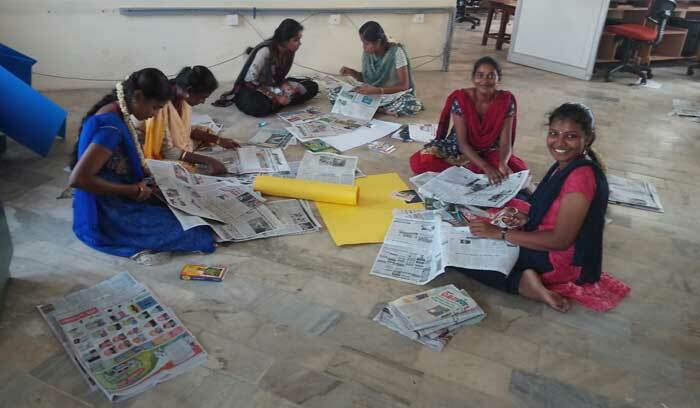 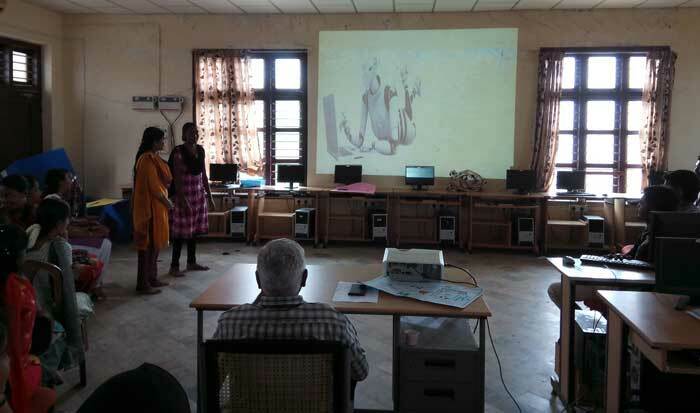 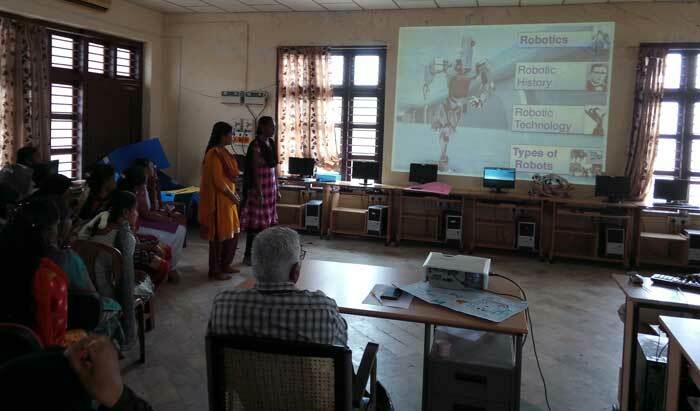 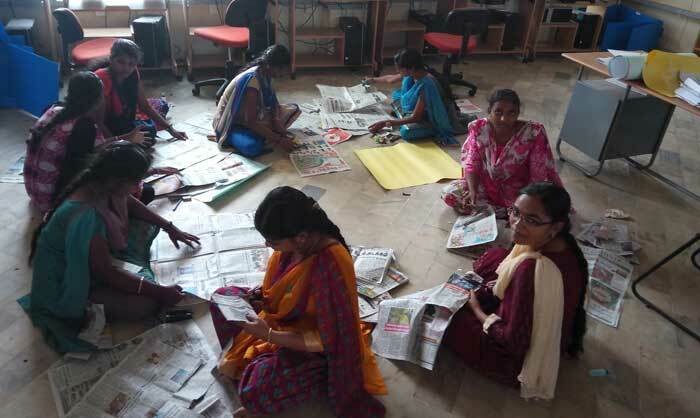 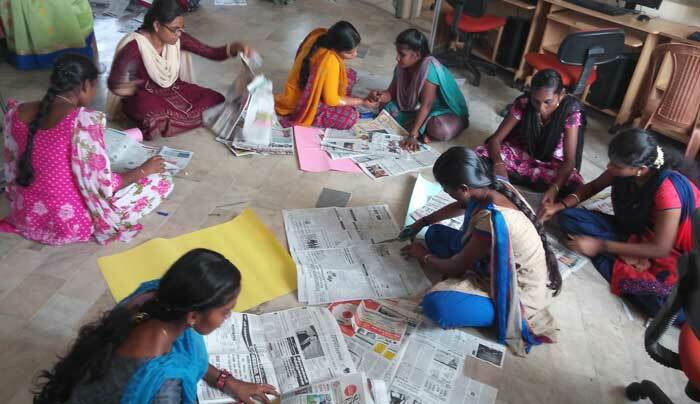 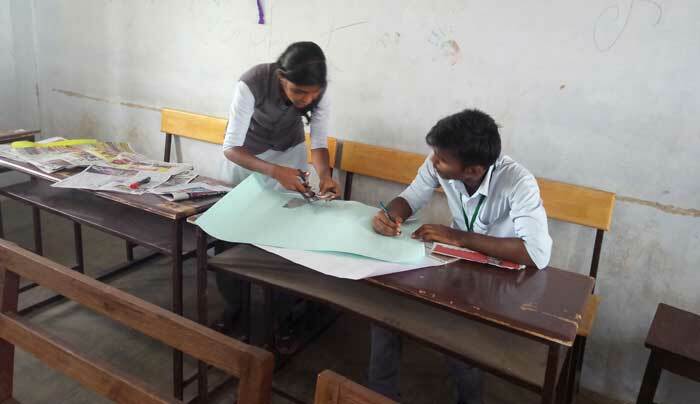 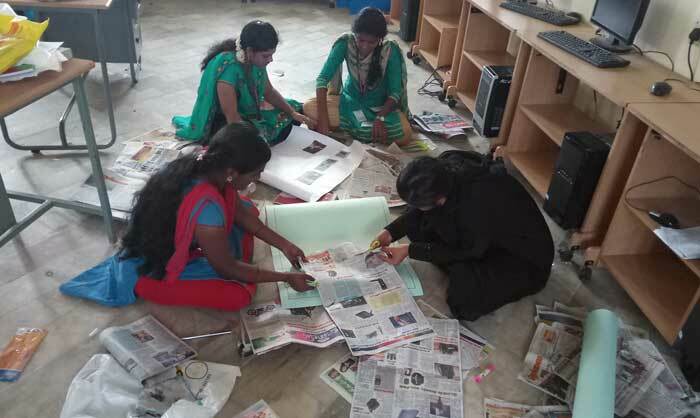 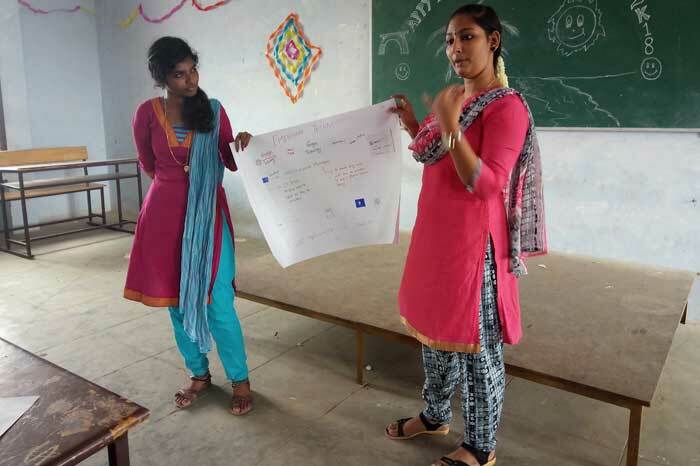 They participated in various competitions such as Paper Presentation, Memory Contest, Key Word Finding, Password Hacking, Amusement and won prizes. 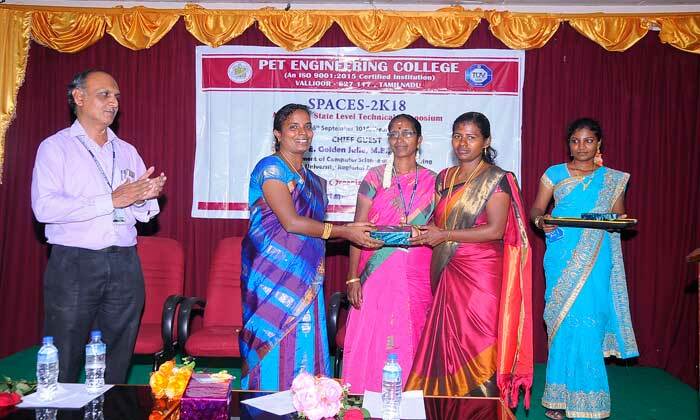 The overall shield was won by Govindammal Arts and Science College. 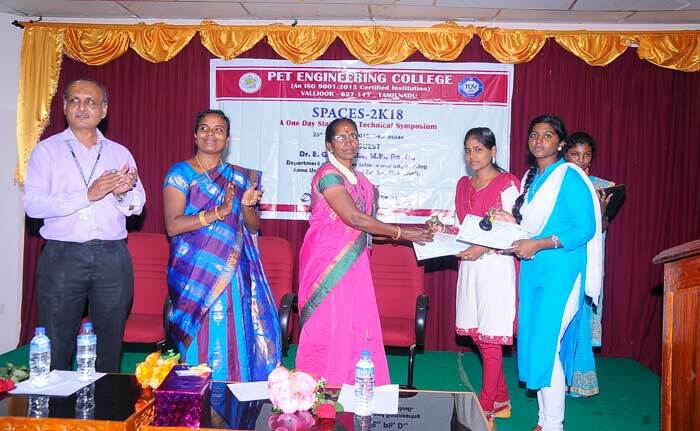 Prizes and certificates were given to the winners, M. Lingeswari a third year MCA student proposed vote of thanks.